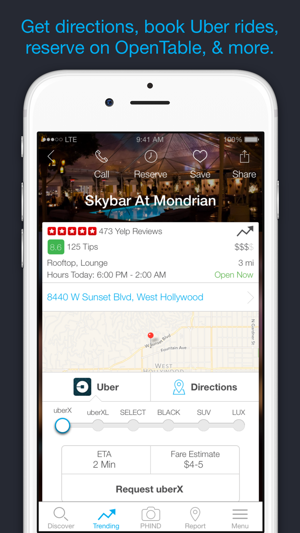 PHIND helps you discover the best places to eat, drink, shop, or visit – anywhere in the world. 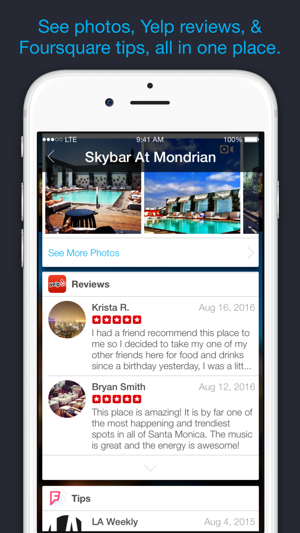 Through visual, text or category search, we bring you information from popular apps like Yelp, Foursquare, OpenTable, Uber, and more, in one simple experience. 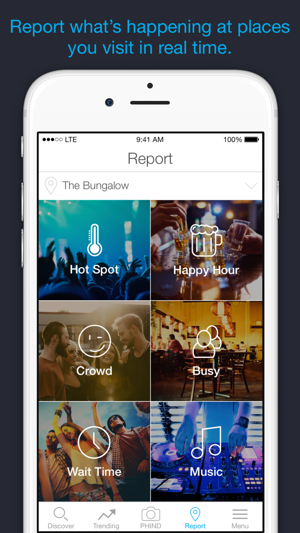 Unlike any other app, PHIND uses real time reports to guide you to the trendiest venues in any city. Going out just got a lot easier! • Invite friends to join the fun! 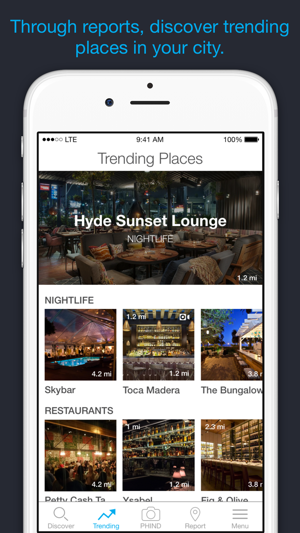 PHIND is about creating an insanely great mobile search experience for places, so hop on board now and discover your world like never before! 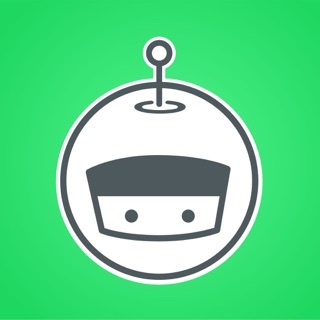 TechCrunch – The "Waze For Places." Follow us on Instagram, Twitter and Facebook @phindapp! If you have any issues or questions, don't hesitate to email us at support@phind.it. Extremely easy to search for anything around me. I was surprise to see the history of cities, parks, and business around me especially only the ones in front of me. 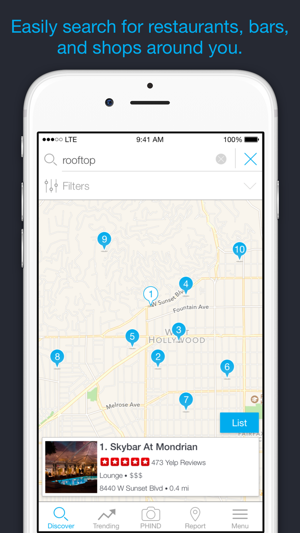 This will be great and can’t wait to use the app during my travels. I'm loving the trending feature! It makes going out really easy, especially in LA. It's also convenient that all the info is in one place because my friends and I can make a decision in an instant. I'm a big history buff and this app has wealth of information. Its great not only for traveling but finding out about places all around my area. 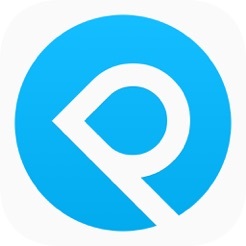 I highly recommend trying this app out!